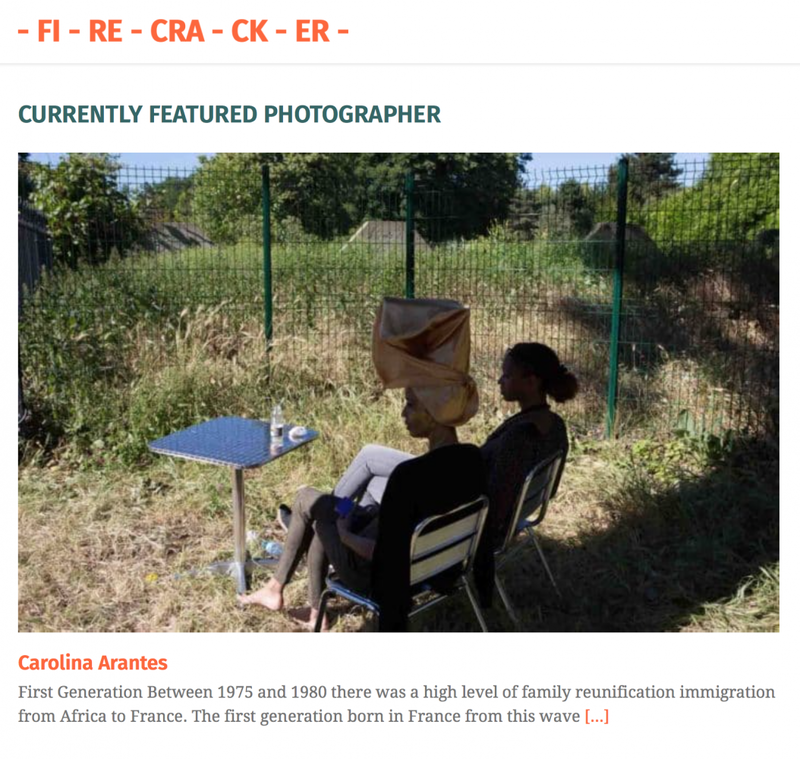 Delighted to announce that Carolina Arantes is the winner of the 2017 Firecracker Grant, awarded to a female photographer born or residing in Europe to assist with a documentary project.Through a combination of self-initiated fundraising and with the generous support of Genesis Imaging, the Grant fund is a minimum financial contribution of £2,000 plus credit of professional printing, mounting and framing services from Genesis Imaging. Firecracker was established in 2011 by Fiona Rogers to promote women working in photography, through a variety of online features, networking opportunities, and public events. Note from Carolina Arantes: I'm really happy and honored to share that I am the winner of this year's grant! Since my beginning in photography, I always respected and admire very much Firecracker grant and it is quite nice the moment one sees itself part of places you aim for. But I'm mostly very happy that the Grant and the project will collaborate to spread the issue again and join a choir of discussions that is already there. That's a very important! point of a documentary work. I would like to add that I feel this is a collective project. Without the confidence and trust of all women directly concerned in the issue, there will be no sense in working on it. Thank you very much, Fiona Rogers and all the jury of Firecracker's Grant!